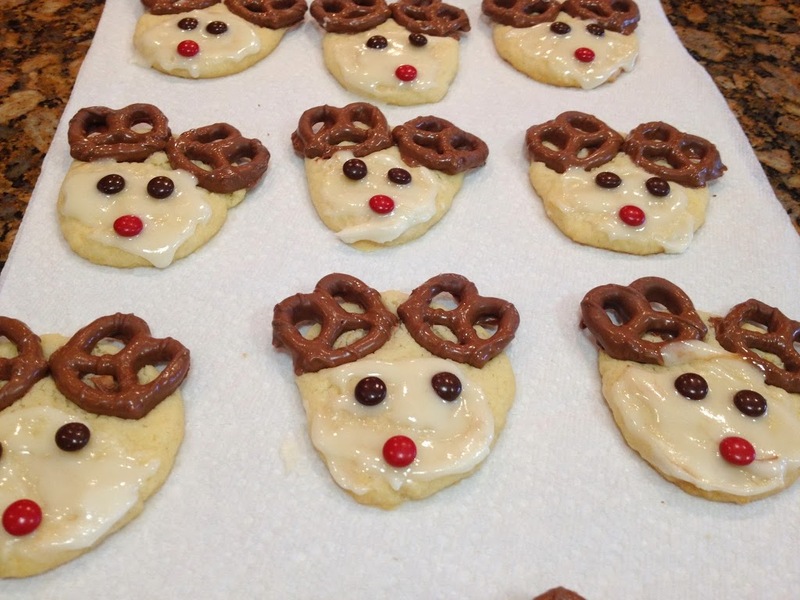 When the reindeer cookies come out of the oven it can only mean one thing – Christmas is here! 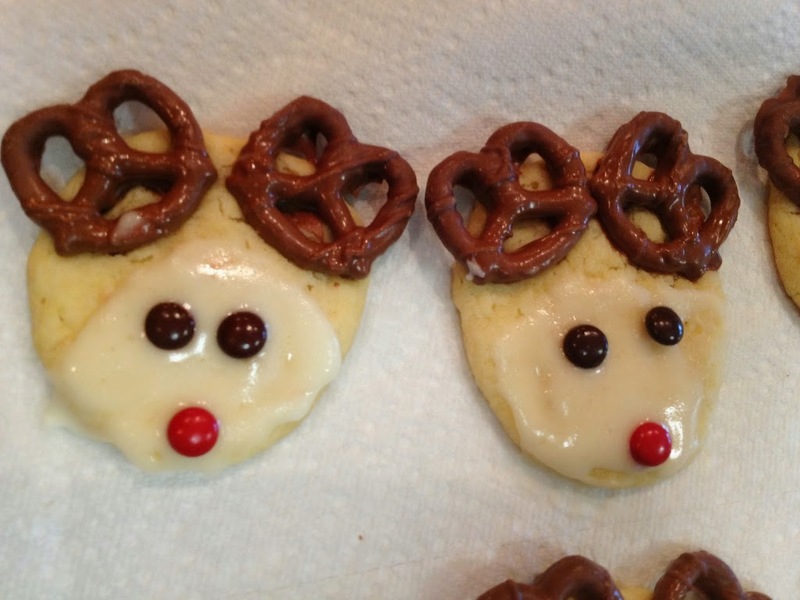 I’ve been baking these reindeer cookies for years, even before I was a mom, and our girls love them! 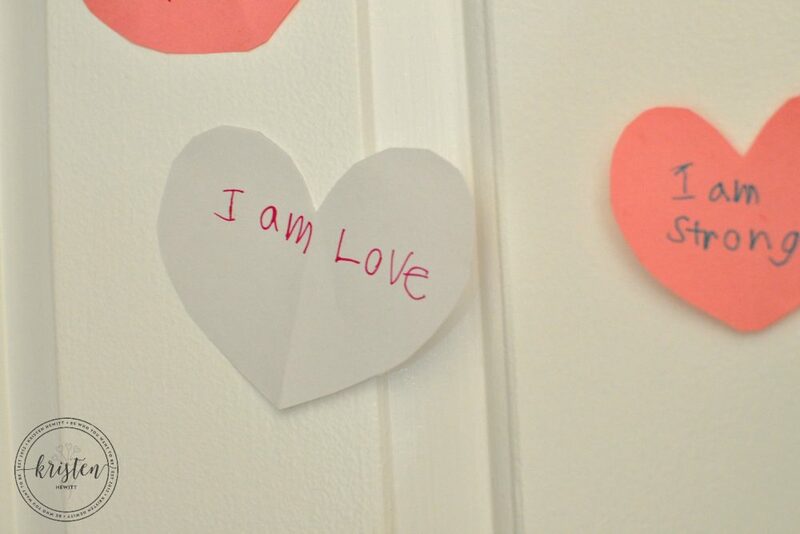 These little cuties are always a hit at preschool, and we often give them as gifts. I first stumbled upon this recipe in a magazine, (remember those?) before Pinterest existed. And though there are millions of creative Christmas cookie ideas, these are always a FAV and so much fun to make with the whole family. So if you want to brighten someone’s day, look like you are an awesome baker, but not eat up too much time, then this is the recipe for you. Here’s how to make my famous “white cookies”, shhh…don’t tell anyone, but they are not entirely homemade. These are the ingredients. That’s right, I cheat. 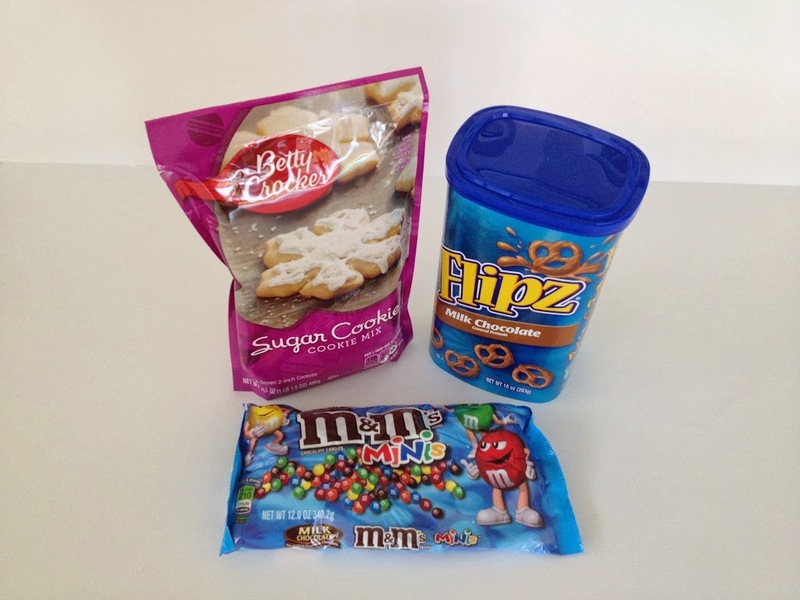 Betty Crocker Sugar Cookie Mix, BOGO pretzels at Publix for the antlers, and mini M&M’s for Rudolph’s eyes and red nose. 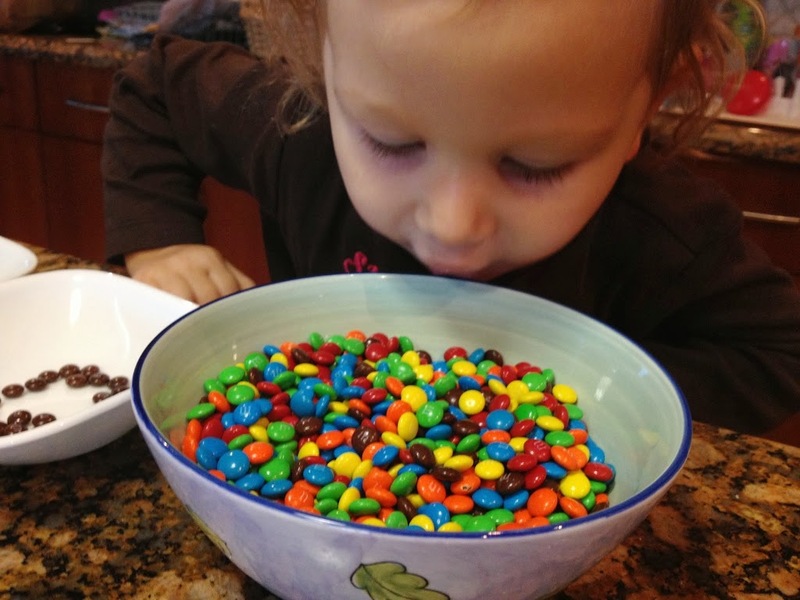 …and eating M&M’s! Yes, I asked her to sort the brown and red M&M’s for the reindeer’s eyes and red nose. She ate a lot of blue ones. Make the cookie dough according to the package directions. 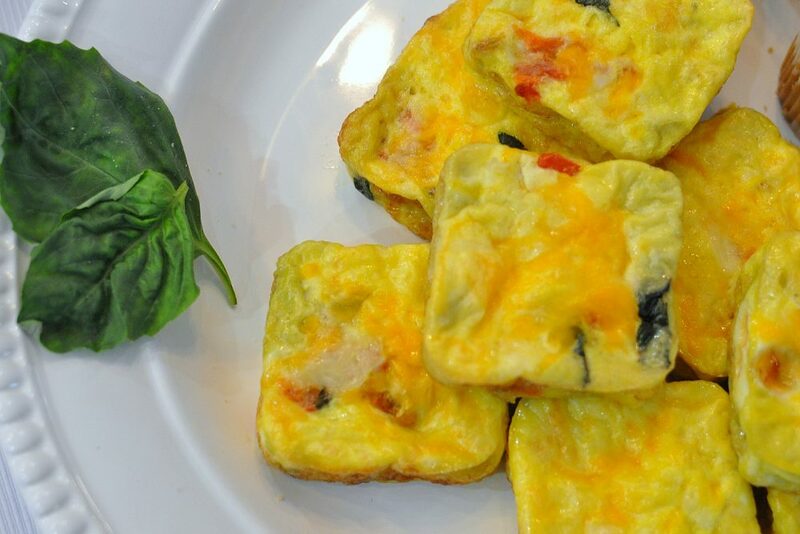 All you need is an egg and 1 stick of unsalted butter at room temperature. 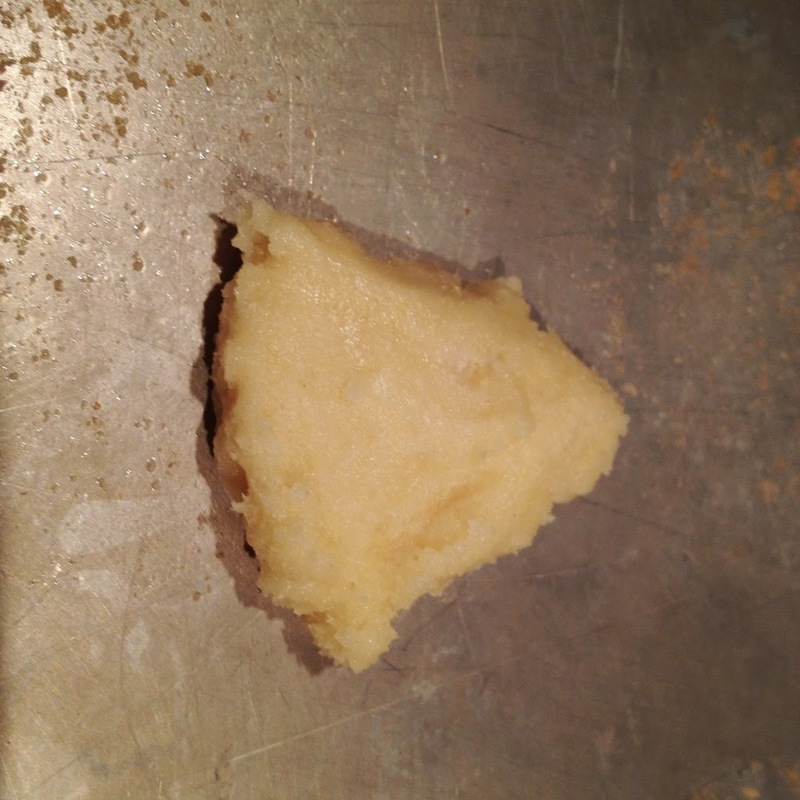 Then when you drop teaspoons of cookie dough onto your cookie sheet, shape it a little like a triangle. It gives it a better reindeer face shape. I know, I really Really REALLY need new cookie sheets. Oh Santa?! Bake the cookies according to package directions, then let cool for a minute before moving to the counter. Immediately put the chocolate covered pretzels on as antlers. I do this right away so the pretzel sticks to the cookie and melts into it. You can use other flavors, the mint chocolate and white chocolate are my favorite. But these are for four-year-olds…who are super duper picky. Now here you can choose how you want to do the eyes and nose. Some people just put a tiny dollop of frosting behind each m&m to adhere it to the cookie. That looks really cute, but it takes extra time. I’ve found it’s easier to just frost the “face” of the reindeer and plop on the candies. It’s really your call. If you are more patient than I…have at it! I also like to frost these when they are still warm, so the M&M’s don’t fall off. And there you have it a sea of reindeer, ready to be devoured by your friends, family, neighbors….whoever! 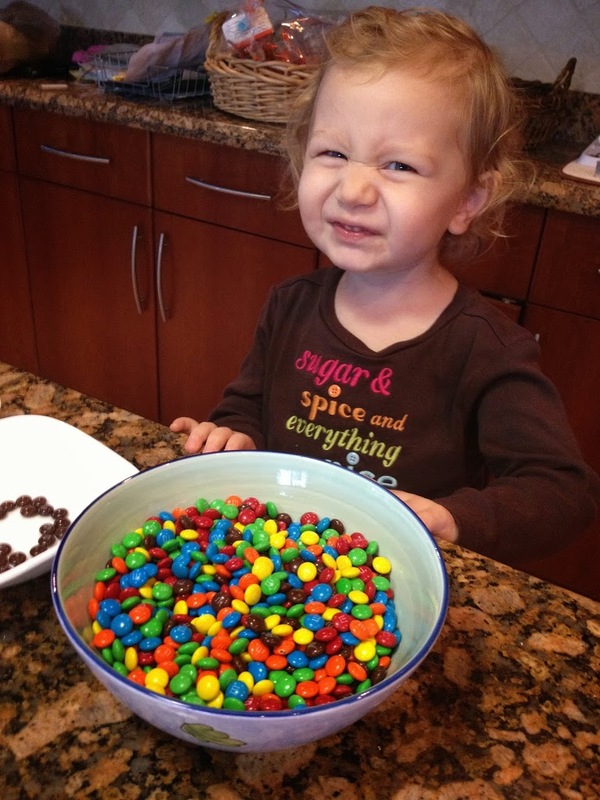 And one little girl who is complete enamored with M&M’s. Oh yeah. And if you want to make homemade frosting, here’s my go to recipe. I sort of made it up, but everyone seems to like it. You only need a fraction of this frosting for these cookies, so put the rest in Tupperware and freeze it for your next baking project! 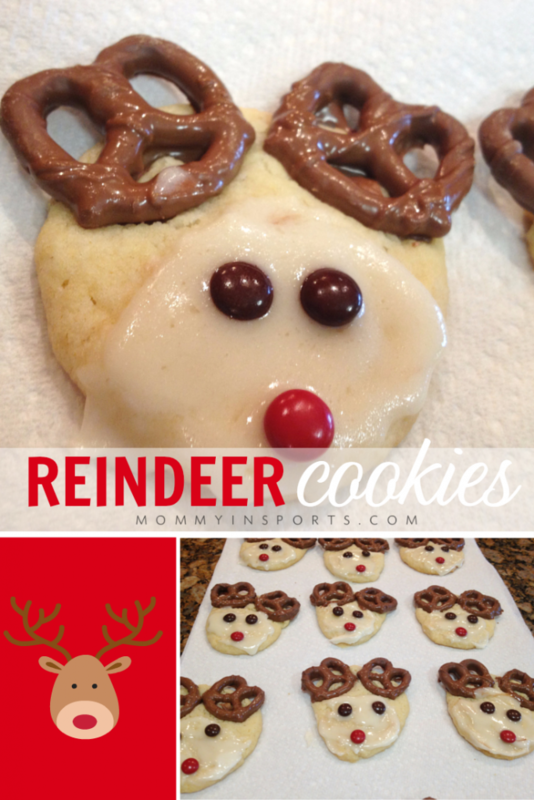 Hope you love these reindeer cookies as much as we do! Eyeball milk or cream to thin it out to your desired consistency. Usually 1-2 TBSP. If you end up making these, I want to see a picture! Drop a pic on my Facebook page! 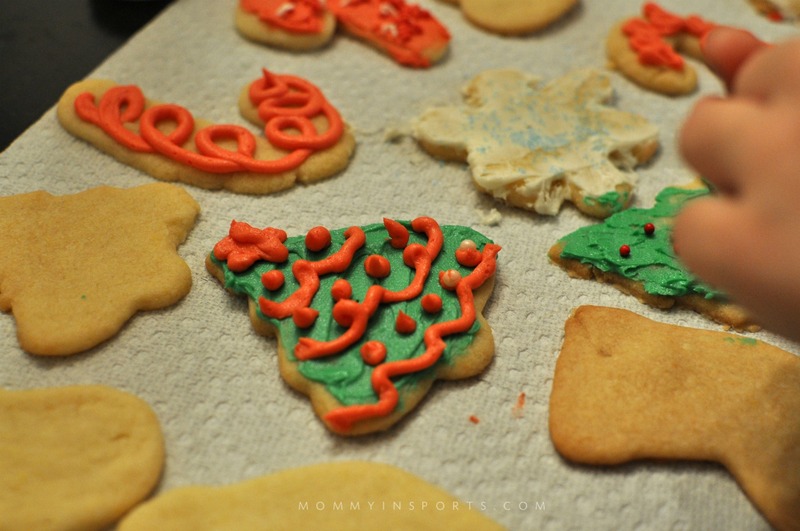 Also if you liked this post, read about what I learned from my kid’s not so crappy Christmas cookies! And please click that brown box below!! Thank you! The kids love em! I think frosting the face and putting the m&ms on sounds cuter and more realistic (if a cookie can be realistic). 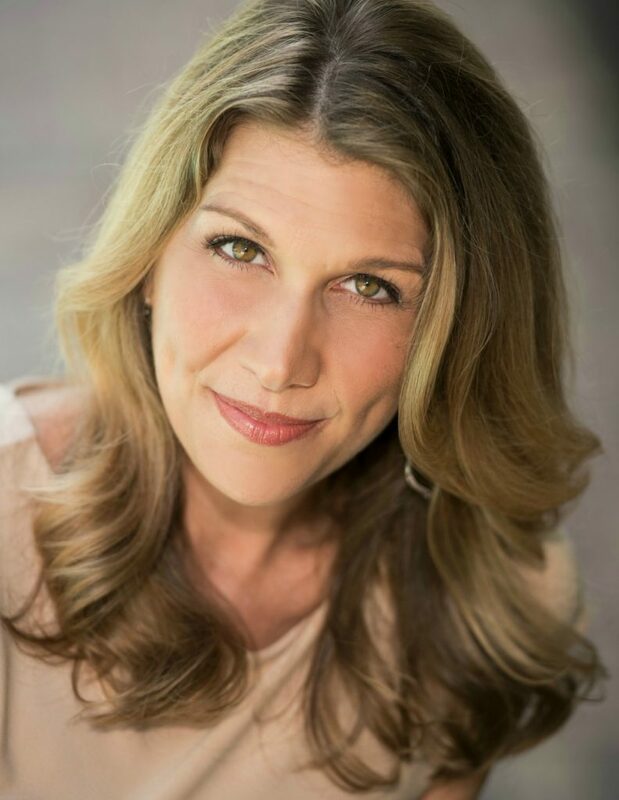 Love that Carla, of course they can be realisitc! Ok, these are simple, but adorable! BRILLIANT! THANK you! I love easy peasy during the holidays. Plus the kiddos LOVE these! Aww…how cute! Love the pics of your kids helping in the kitchen. This is the kind of cookie recipes that my kids used to love to make. 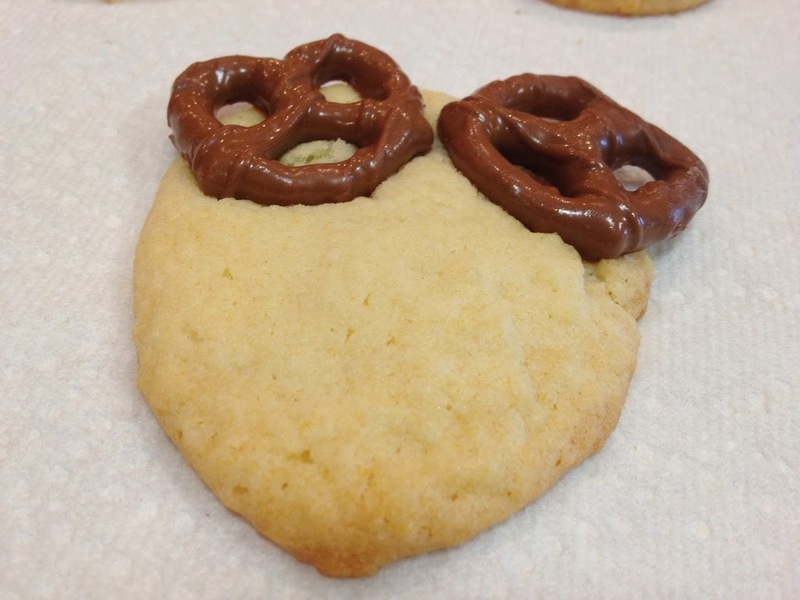 These cookies are adorable, and I love that they are easy enough for the kid to make. 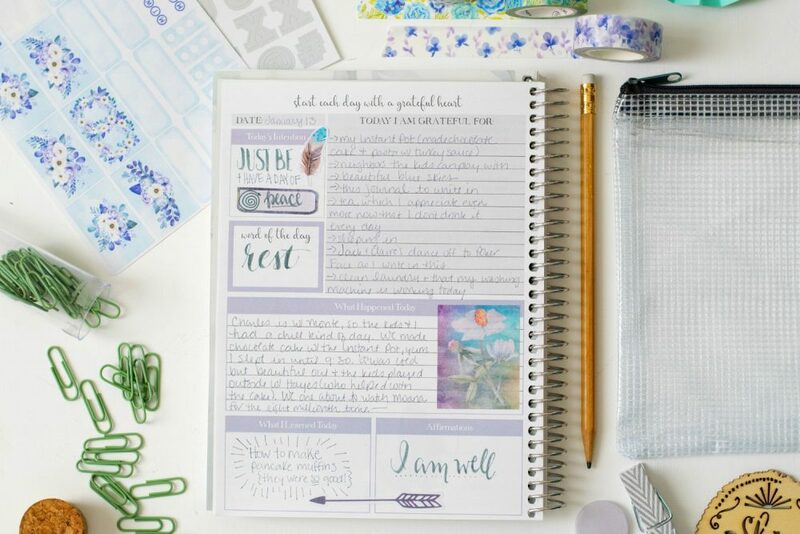 Thank you so much for linking up to this week’s Dare to Share.. you are today’s Dare to Share Feature of the Day! Thank you so much! Heading over now to share your post! These are too cute! 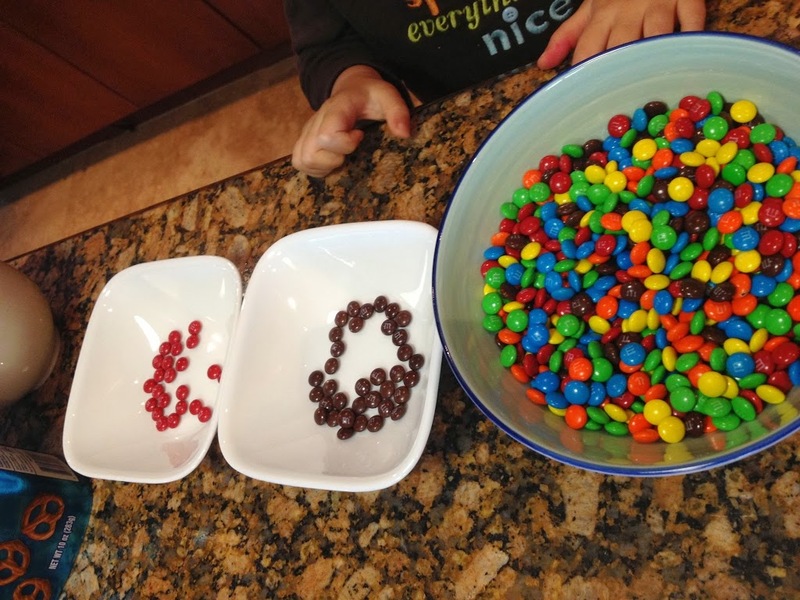 My daughter is obsessed with M&Ms too so she would love them. So adorable and fun for the holidays! 🙂 Love!